The authors don't claim to have proved that US government officials deliberately allowed or facilitated the 9/11 plot, but that's what the actions and inactions of key people accomplished, and the Establishment has rewarded their incompetence or criminality. The authors quote Stafford Beer: "The purpose of a system is what it does." While 'serendipity' for the Military-Industrial Complex may be in the range of theoretical possibility, official responsibility for 9/11 and it's evil consequences remains an urgent issue for the People of the US and the world, along with establishing effective public oversight of government and elite power. 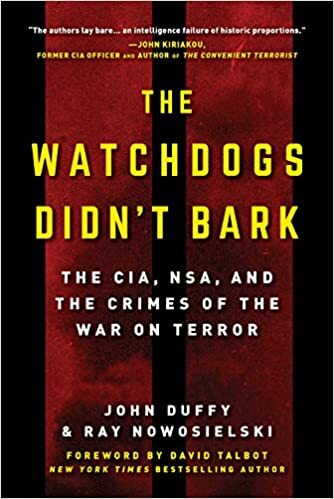 The authors got Colin Powell's Chief of Staff Lawrence Wilkerson on record saying 3 CIA execs told him in the lead up to Iraq that Tenet had been running an illegal domestic operation to try to turn Alhazmi and Alhmihdhar. This is a BS story, maybe a ltd hangout or straight up disinformation that Wilkerson's passing on, but he's got the smarts and experience to know better. Why does he give a shocking statement like this to the authors, and not the CIA IG, FBI or Congress in the last 15 years??? What's up, America? It is extremely important to establish what went on at the UBLU. Clarke states that the CIA sharing was low level. This is an extremely weak characterization. The UBLU was at Washington headquarters. On pg. 81 of the book we learn that Cloonan assigned a rookie agent to start a search after receiving a call from Corsi. WTF? Would Clarke tell us the I-49 unit was low level as well? Did any of the I-49 agents ask higher level FBI officials to intervene with Corsi's strange decision to invoke the wall? Why on earth did Cloonan assign a rookie agent? Why not assign every intel-side agent possible? The FBI conduct is important because it goes against the notion of a CIA vs. FBI turf war explanation for the withholding. Was the UBLU acting on orders from high level FBI officials to continue obstructing the investigation? Was Cloonan doing the same thing? noise on Mon, 09/24/2018 - 12:01am. and asked all the reasonable questions that the Commission and the other government investigations didn't. loose nuke on Mon, 09/24/2018 - 12:35pm. I was a witness before, a material witness, a whistleblower, before two 9/11 Congressional investigations. I gave them everything I knew—and the worst part of it, for me, was discovering, as I found out right after 9/11—I even confronted Maureen Baginski with a report that had been finished by NSA, finished report, many, many months before 9/11 basically breaking out the full scope of Al-Qaeda associated movements. And it was never shared with the rest of the intelligence agencies, nor was it ever given to the national command authority to take action. That was just one report amongst many of them. ... It exposed the full network. It showed how the network was operating; how it metastasized; who was associated with it. It was the best of NSA. This is the kicker. The very best that Americans would expect, that those in secret had a special obligation to their own citizenry to protect the nation, and here was the finest, the finest that I worked with—and I'd been in the system for a long time. Remember, I listened in on East Germany and Warsaw Pact countries back during the latter years of the Cold War and did electronic warfare. Yeah, I—and yet here I was, my own country, and I was taking on activities that not only did I object to, but were in violation of the law, but the law no longer seemed to matter. The phrase that I kept hearing in those weeks and months after 9/11: "You don't understand, Tom"—and it was all summarized by the lead attorney. The lead attorney said: "You don't understand. We just need the data. We live in extraordinary times and exigent conditions apply." Exigent. It's a really interesting word in the English language. Exigent. Meaning, all means necessary to confront the threat. Yeah, all means necessary meant that the Constitution was in the way. And I can tell you right here. I can tell your listeners right here, none of this was necessary. We never had to go to the dark side like Cheney said. The very best of American ingenuity and innovation had already solved this problem years earlier, knew—how do you make sense of and find meaning and large amounts of data, already solved that problem. It didn't take billions to do it. It had been solved for $3 million dollars, $3.2 million on a program called Thin Thread that was rejected by NSA out of hand. loose nuke on Mon, 09/24/2018 - 7:28pm. Jon Gold on Tue, 10/09/2018 - 10:14pm.